My Farmbot has been having issues for a while now and I can’t figure out whats going on. It’s been stuck with a SYNC ERROR. Trying to fix the problem I’ve updated the firmware, reconfigured the machine (multiple times), I just swapped to a new wifi, have re-flashed the pi from the github image. The Sync error seems to be preventing me from completing a factory reset which I tried before flashing a new sd card. I also keep losing the Message Broker. @LiamBTS Could you please send me your account email address in a private message so I can take a look? Hey I been getting sync error continuously even though connectivity links in the device page are all green. I tried rebooting the bot also changed wifi but no use. Still getting sync error. 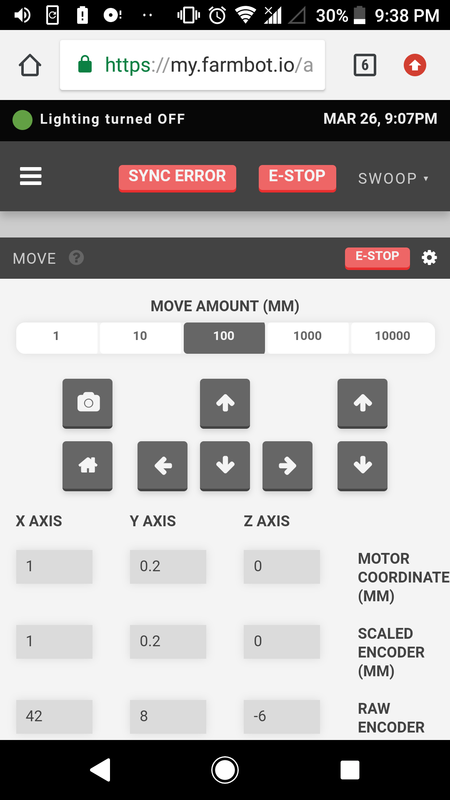 But I dont know how it can perform manual movement controls or peripherals on the control page while still showing sync error after that. But I cannot test any of the sequences due to this sync error. 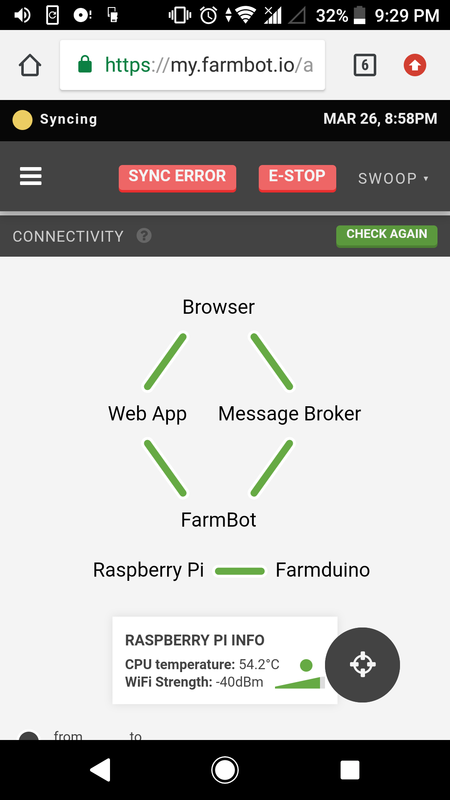 Farmbot does not give the option to test sequences. @pooja Please bring your device back online. I tried to take a look, but it appears to be offline.